Give your little boy a stylish makeover by letting him wear this tee brought to you by Life. The print pattern along with a nice colour combination lends the attire a classy appeal. 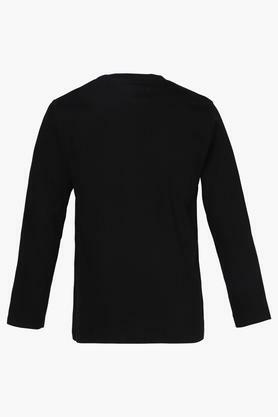 It also flaunts a round neck and full sleeves that further add to its overall design. 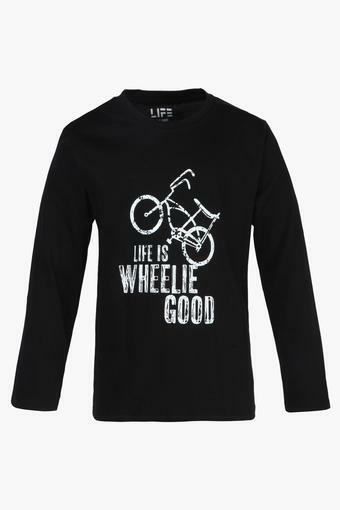 Pick this printed tee and upgrade the clothing collection of your son. You can make him don it with a pair of shorts and loafers for a complete look.